Lynden Pindling International Airport (LPIA) will conduct a full-scale emergency drill on Wednesday, December 2, 2015 from 11:00 a.m. – 2:00 p.m. The drill will simulate an aircraft crash accident and will allow LPIA to test its emergency response procedures and business continuity plans following an event of this magnitude. It will also allow participating emergency response and investigative agencies to test their operational procedures and responsiveness to ensure the highest level of readiness in the event of a real emergency. 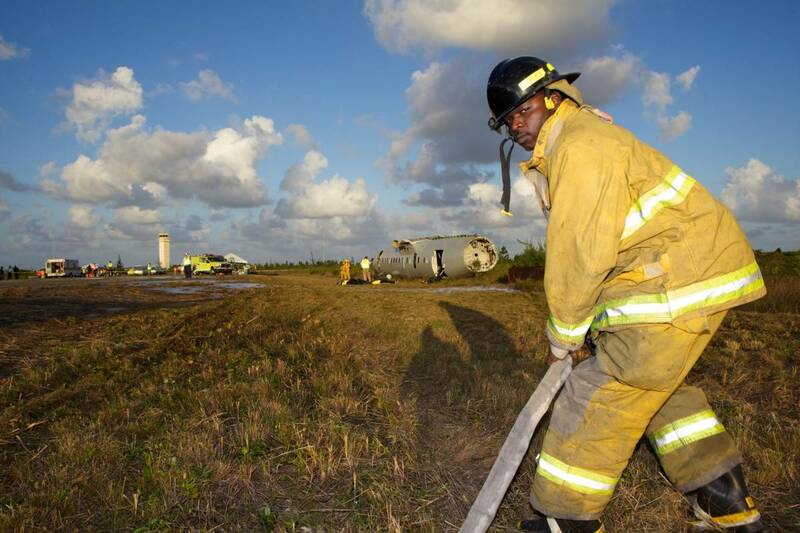 Members of the Royal Bahamas Police Force and Royal Bahamas Defence Force will play the roles of injured passengers using the fuselage of a Beechcraft airplane. Other participating agencies include the Civil Aviation Department’s Air Traffic Services and Aircraft Accident and Investigation Services, the National Emergency Management Agency (NEMA), Airport Authority Rescue and Fire Fighting, Airport Authority Security, the Public Hospitals Authority, Doctors Hospital and the Bahamas Red Cross Society. Approximately 100 participants will be actively engaged on the site, along with real fire and smoke. Based on international aviation standards regulated by the International Civil Aviation Organization (ICAO), all international airports must conduct full-scale emergency exercises every two years.